A Cyber Thief? Oh my, I know that face! While serving as Director of the FBI in 2012, Robert S. Mueller, III famously noted that “there are only two types of businesses: Those who have been hacked and those who will be.” Scarcely a year later, the Target credit card scandal rocked the nation, followed by a chain of data breaches that continues today – with healthcare a primary target. Recently, the Buren Insurance Group, Inc. commissioned the development of a cyber risk assessment survey, geared for small to medium size organizations. The 20-point survey (available on this website or by typing in hipaa.opra.org/quiz/cyber-risk-exposer) emerged from our own experience with incidents involving clients we serve. That’s right. Far from the high publicity hackings at organizations such as Anthem and CVS, incidents we see here in central Ohio are among the small, barely-known breaches that are most prevalent of all throughout the United States. In one of our experiences, a CFO’s email address was fraudulently used to trick his assistant into issuing a $25,000 check. The assistant issued the payment without a second thought, because by every indicator, the request had come from her boss – from his email address, and even in his writing style! In another incident, a nurse brought her teenager along on a home visit arranged by her employer. The 18-year-old “kid” stole information contained in a manila folder on the kitchen counter top of the home. Just enough info to open a credit card – and finance a fraudulent shopping spree. Under the Health Information Portability and Accountability Act (HIPAA), healthcare providers, including those in the I/DD sector, are required to meet very specific privacy regulations. Full compliance with HIPAA indeed reduces the risk of penalties or civil liability. However, that doesn’t stop hackers from trying, and sometimes succeeding. Even during a period when aggressive enforcement of HIPAA has elevated awareness of privacy obligations, breaches of protected health information (“PHI”) escalated by 25 percent last year over 2016 – with email and network servers identified as common points of unauthorized entry. The reality of cyber crime? It is typically about somebody – often an insider — gaining access to the kind of private health information that employees pull up every day on their computers. That then opens the door to fraud. As the keeper of private health information, you are accountable for preventing unauthorized exposure to the best of your ability. Are you meeting requirements to reasonably protect the information entrusted to your organization? Are you reducing risk to the greatest extent possible? There is no fool-proof plan of protection. The best you can do is to look inward within your organization, to intelligently assess and mitigate risk. But above all, avoid the fool-ish plan, which is to assume that this stuff just happens when far-away crooks pull off big heists that make news and create multi-million-dollar headaches for mega organizations. Think instead about the administrative assistant who unwittingly wrote a $25,000 check to a thief. Or the lady who left too much information on her counter top when the home nurse came to visit. 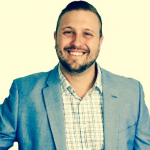 About the author: Justin Buren is a member of the Ohio Provider Resource Association and a preferred vendor partner. He focuses on risk management, safety, and insurance for providers. At the start of each new year, it is always good to look back at federal settlements under the Health Insurance Portability and Accountability Act (HIPAA). That is how you know matters most to the Feds in terms of privacy enforcement. It’s your job to understand HIPAA requirements. Execute Business Associate Agreements with vendors and independent contractors with potential access to private health information. Don’t rest easy because you have security policies; you also need to manage security processes for daily vigilance. If you do experience a privacy problem, report to the Feds in a timely manner. Be sure to monitor activity on your databases. Now let’s take these one by one, with examples illustrating each point. The points are pertinent to all covered under HIPAA, including residential providers and others outside the realm of primary medical care. In a case involving CardioNet, a provider of remote mobile monitoring of heart patients, the Feds said that a lack of understanding of HIPAA creates risk. CardioNet paid the cost of such ignorance in a $2.5 million settlement, stemming from a laptop stolen from an employee’s vehicle, and containing private health information. Read the Press Release. In April, the Feds put out a news alert with the headline: No Business Associate Agreement? $31K Mistake. It’s was as if to say “Gotcha” — albeit in a small monetary settlement by HIPAA standards. The case involved a children’s digestive health center. As the Feds were investigating one of the center’s Business Associates, they discovered the absence of a Business Associate agreement, which was the center’s responsibility to execute. Read the Resolution Agreement and Corrective Action Plan – PDF. In a case involving unauthorized access to health information, Memorial Healthcare System (MHS) paid the Feds $5.5 million to settle potential violations. Private health information had been impermissibly accessed and disclosed through login credentials of a former employee of an affiliated physician’s office. For a year’s time, the unauthorized access took place on a daily basis — and without detection due to a failure to monitor of database activity. Read the Resolution Agreement. A case involving Children’s Medical Center of Dallas (Children’s) stemmed from impermissible disclosure of unsecured, electronic health information and non-compliance with HIPAA standards over many years, according to the Feds. The Feds issued a notice to Children’s, which included instructions for how Children’s could file a request for a hearing. Children’s did not request a hearing. Children’s paid a civil penalty of $3.2 million, and the Feds called out the issue of timely response. Read the Press Release. on two separate occasions that patient information was illegally obtained by an unauthorized third party. Evidence included 21CO patient files purchased by an FBI informant. Among other things, the Feds determined that 21CO failed to implement procedures to regularly review records of information system activity, such as audit logs, access reports, and security incident tracking reports. Read the News Release. The vast majority of HIPAA cases are resolved through corrective action plans that the Feds monitor. That is of course much better than a fine — although Feds will hover for a while. At this writing, there are more than 400 cases under current investigation and summarized at this portal on the website of the U.S. Office for Civil Rights. Diane Evans is Publisher of MyHIPAA Guide, and her guest viewpoints have appeared in Compliance Today. MyHIPAA Guide worked with the HR Committee of the nonprofit Ohio Provider Resource Center (OPRA) to develop human-centered HIPAA compliance materials tailored to residential providers and facility operators. We are currently offering a discount on a one-of-its-kind 12-month MyHIPAA Program Planner, complete with goals, tasks and deliverables. Click here. See the right rail of the hipaa.opra.org homepage. All providers can benefit. Since federal privacy rules require lots of documentation, a frequently asked question is: How long do we have to keep all the documents that accumulate as a result of compliance with the Health Insurance Portability and Accountability Act (HIPAA)? The answer: Six years — and that means six years after the date of a document’s creation or it’s most recent effective date. Keep in mind, all HIPAA-related activities must be documented. This includes privacy policies and procedures, privacy notices, resolution of complaints, staff training, business associate agreements and all else pertaining to privacy protections. In one of the HIPAA cases most relevant to the I/DD-Residential sector, a county agency delivering health services to low-income people settled a potential breach by paying out $215,000 to the Feds. The agency serves a rural population of about 120,000 in Skagit County, Washington — where nearly 18 percent of the people live below the federal poverty line according to the most recent labor statistics. As commonly happens, the Feds opened an investigation after receiving a complaint that appeared to result from the unintentional exposure of Private Health Information (PHI) involving only seven individuals. Looking further, the Feds discovered the absence of a HIPAA compliance program within the county agency in question. The Skagit County settlement dates back to 2014, when the Feds were just beginning a proactive approach to HIPAA enforcement as mandated by Congressional legislation in 2013. Since then, the message of that case has been clearly validated. In a review of nearly 400 potential privacy violations currently under investigation, you will see that small community providers, including those in the I/DD sector, are under investigation for occurrences often resulting from careless lapses with no ill intent. In addition to the monetary settlement, a three-year corrective action period ensued for the Skagit County agency. Cliff Note: What is Private Health Information? That is one of the first questions that comes up about Private Health information, often referred to as PHI. Just what do we mean by PHI? transmitted by an organization required to follow HIPAA rules. Organizations required to protect such information in any form — paper or electronic — include residential providers and their vendors and/or consultants. ~The past, present, or future payment for the provision of health care to the individual.